Canada’s wireless industry is preparing for what might be one of the largest shakeups in its history. The CRTC — Canada’s telecom regulator — has until the end of this month to release its revised decision on Wi-Fi-first MVNOs, and it seems Canadian carriers are taking the potential for massive change very seriously. Bell recently announced that its prepaid Lucky Mobile brand will be launching an app for Wi-Fi-based texting and calling service, and a head office job posting from Rogers suggests preparations are also underway at Canada’s largest carrier. The ‘pending mandate’ from the Canadian Radio-television and Telecommunications Commission (CRTC) regards whether or not Wi-Fi can be considered a “home network,” allowing wireless resellers that don’t necessarily have any network infrastructure to purchase roaming service from the major infrastructure-owning telecoms. The job posting has since been changed to remove that wording, but its existence shows that Rogers is readying itself for a decision that could effectively mandate mainstream wireless reselling. Of course, it’s important to note that this MVNO analyst position already existed previously — Rogers already works with MVNOs (including Petro-Canada Mobility) and expects to work with more as IoT and machine-to-machine technology grows. Still, the wording is plain. Rogers is preparing for the possibility of a major change. The carrier’s response touches on the heated debate at the center of this issue: facilities-based investment versus opening the market to more low-budget wireless options that are more commonly seen in other parts of the world, particularly in the U.S. and Europe. In a nutshell, Rogers — as well as Bell and Telus — argue that opening the door to a Wi-Fi-first MVNO market reduces the incentive to invest in infrastructure upgrades, which might ultimately lead to a decrease in wireless quality. Innovation, Science and Economic Development Canada (ISED), as well as various consumer advocacy groups, suggest there simply aren’t enough low-cost options in the market, necessitating more wireless players with easier access to the market. To the point of low-cost options, Rogers told MobileSyrup it shared the government’s concerns about the digital divide for low-income Canadians, pointing to the Connected for Success program and the lower-tier price plans at its Fido and Chatr flanker brands as an example of the company’s attempt to bridge the divide. There’s some indication that other carriers might be preparing for a change as well. Bell’s new prepaid brand, Lucky Mobile, will launch an app that enables talk-and-text over Wi-Fi at some point in 2018 — a play that can be seen as Bell getting its foot in the Wi-Fi-first market in case a change does occur. Bell, however, declined to comment on the matter of how or if it was preparing for the decision’s release. While Telus’ budget prepaid brand Public Mobile has yet to launch a similar feature, it has been actively attempting to move Public customers to postpaid service through sister brand Koodo. Telus has offered several data-rich promo plans and credits to those who will move up the value chain, causing customers on its forums to wonder whether the carrier is planning a change in strategy for Public. Telus declined to comment on the matter, as did Videtron. Shaw did not respond to MobileSyrup‘s request for comment. MobileSyrup also reached out to some of the smaller Canadian players who might benefit from a revised decision in order to potentially enter an emerging wireless reselling market. Xplornet, which already offers fixed wireless and has future mobility plans, had no comment. Internet and cable provider Distributel made no comment on behalf of its subsidiaries including Acanac, Zazeen and Yak. Tbaytel and Sogetel, both smaller mobile players, also did not comment. MVNOs sell mobile phone service by wholesale purchasing the use of another company’s existing infrastructure and then reselling service at generally lower rates. MVNOs are not a large consumer market force in Canada due to the fact that the CRTC does not compel carriers to sell network-use to providers that don’t build their own infrastructure, though there are a few MVNOs that work with Rogers, Bell and Telus. 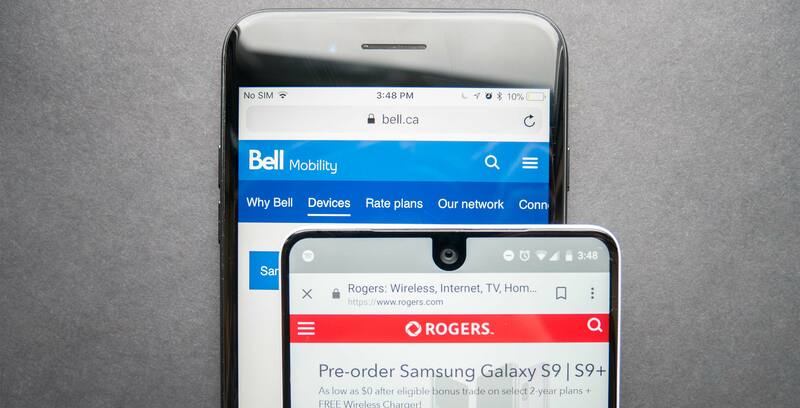 Those include PC Mobile, which uses Bell for prepaid service and Telus for postpaid, as well as the aforementioned Petro-Canada Mobility, which works with Rogers. In June 2017, ISED minister Navdeep Bains ordered the CRTC to reconsider a decision that sewed up a loophole allowing Wi-Fi-first MVNO Sugar Mobile to operate in all areas of the country. The move was a rare instance of government attempting to revise one of its own decisions. Sameer Chhabra contributed files to this story. Correction: Rogers’ senior analyst job listing was not removed, but the wording about the pending mandate was removed. The article has been updated accordingly.